Get Promoted on all Social Media Platforms with D18 Studios. Boost Your Sales, Online Reputation, Fan Following with our affordable Social Media Marketing Services. 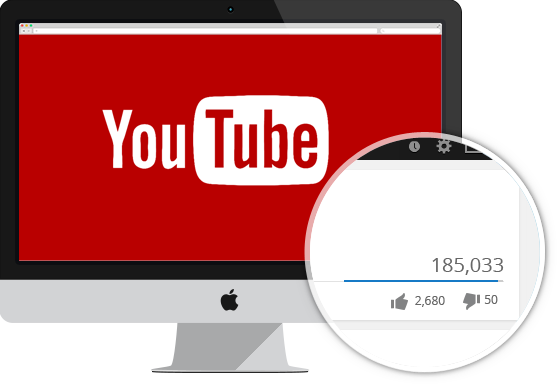 Get promoted with high retention views for your awesome videos on Youtube with good ranking, stability & interested crowd presence. a) Promoted over 2500+ videos with worldwide clients. D18 team works on a platform where we provide ‘HIGH RETENTION SAFE VIEWS’ to our clients, we promote videos through video campaigns on google adwords & let the target audience & interested viewers to watch your video, your video will be advertise to your target audience with our marketing techniques. Start your promotion today with D18 Studios and let your video become viral with our expertise. b) Why to opt D18 Studios for promoting videos ? We will provide you 100% anonimity and will not share your detail with any third party & our service will help you gain real exposure to your target audience. A facebook page means a lot to you, whether you’re a business, an artist, an actor or a brand, as its a part of one of the best social media platform..
Facebook has over 1.32 billion active users, nearly every one who uses internet is on facebook. So are you tapping this potential to the fullest, are you getting that exposure to your facebook page that you dream of. Our Team of Experts has experience of over 8 years in the field of Digital Marketing. We have been marketing since the infacy days of Google Adwords & since Facebook first launched it’s Facebook Ads Platform. Our experts will promote your facebook page to your target audience through Facebook Ads. Our team of experts will create Facebook Ad Campaigns to promote your stuff, gather facebook likes, generate leads & sales, increase engagement and much more. Through our promotional efforts your page can get a fantabulous growth in a good period of time.So allow us to work for your Facebook growth with genuine likes and engagement with your target audience & let the world know your brand. 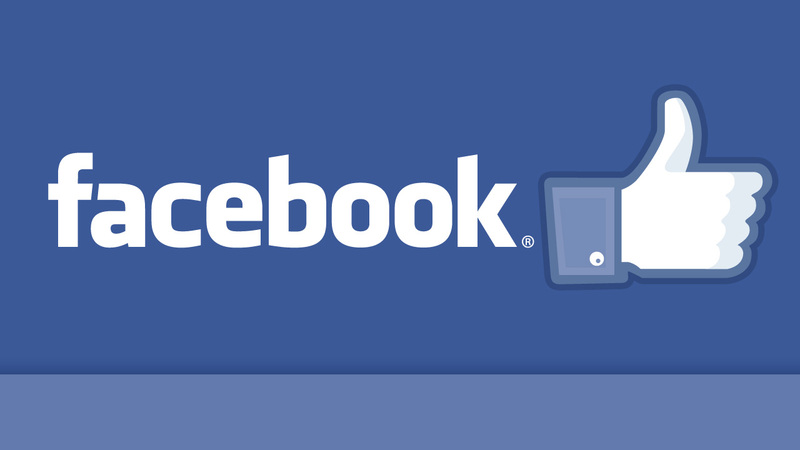 b) Why to choose ‘D18 Studios’ for facebook likes ? D18 Studios team will promote your brand through Facebook advertising PPC (Pay Per Click) campaigns, there are a number of other providers but most of them use fake botting techniques to provide you fake likes, such fake likes are not engaged with your facebook page & oftenly it results in bad reputation in the eyes of Facebook & it can even lead to getting your Facebook Page banned forever. This is where we can help you, Our experts use proven marketing techniques to promote your stuff, where we promote your Facebook page through Facebook Ads paying Facebook for every click that your page will receive. We will promote your facebook page to your target audience – people interested in your service/product/brand – this we will tell Facebook at the time of Ad creation. Our unique methodology of finding & targeting the perfect target audience for your brand will help you reach your message to the right people within your budget. Buying SoundCloud Plays isn’t just increasing numbers/counts – It’s about getting your music listened to good crowd, building a cool fan-base, becoming popular among your gener, and gaining the attention of big record label/companies. These days, the music industry is over-crowded, and standing out is becoming very difficult. 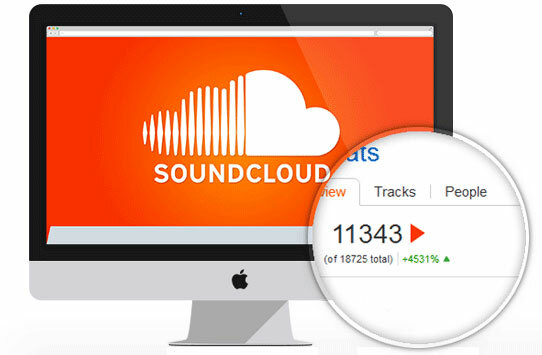 Promoting your SoundCloud tracks can be an important step in your online music marketing strategy (specially for DJ’s, rap artists and more). Our experts will provide your track to reach the crowd who are interested in your genre/type. And hope each play will give you a new fan. So with D18 Studios boost your popularity, gain fans and attract the attention of the record labels that look around SoundCloud for the best indivuduals/bands. Our experts will promote your track through out social networks including High ranked websites, Musical pages, blogs, forums & more. This will boost your track to the listenable audience that your track is looking for. And hence it can gain popularity, decent ranking on google search & good traffic every day till the order ends. We want to give massive exposure to all good musical artists on soundcloud with our work.